When I saw these amazing Bad Habit cut-out shorts with skull studs, I fell in love. But I knew I wasn't going to pay $35 + shipping for them when I could easily make them at home. Overall the project cost me nothing as I already had a pair of fabric scissors and I already had a pair of shorts which I received in a clothes swap. 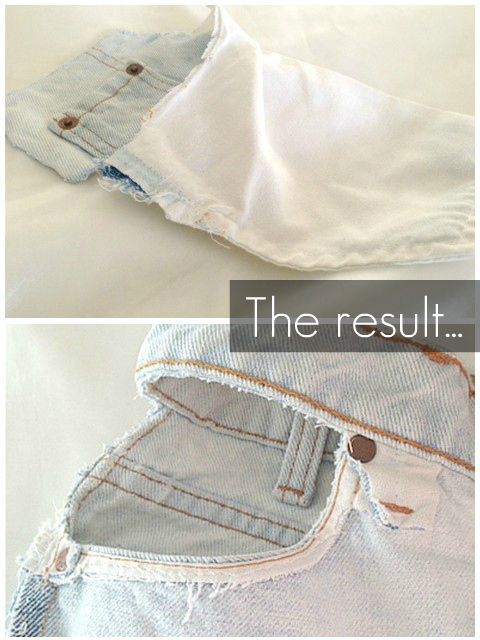 Step 1: Turn your shorts inside out. Step 3: Snip at points #1 and #2 cutting both layers of the pocket. Separate the layers, slide your scissors into the opening, then cut the top layer along the lines avoiding the studs. Make sure you stay a couple millimetres away from the seam so you don't accidentally cut the seam. Step 4: Fold the pocket over and cut the bottom layer along the line. Step 5: Turn your shorts back the right way. These shorts were vintage Levi jeans that were cut into shorts. They're ideal for this project as they're light-wash which is fantastic for enhancing a tan and high-wasted which makes the ensemble look more tasteful. These shorts are a must-have for this summer and ideal for sunny holidays abroad. I hope you've enjoyed this tutorial. Be on the look out for more DIY posts as I am now officially an Oxfam Fashion Blogger, specialising in fashion DIY! It depends on what underwear you wear. High-waisted, I'd go with hipsters so the knicker-line lies just beneath the pocket or if you're DIY-ing normal shorts, I'd go with normal knickers! This is so cool! I haven't seen such shorts before, but I love it!! I will definitely try it with some old ones! Great tutorial! I'd never seen these kind of shorts before either but they look so cool, I'll have to try this! Absolutely love this look! 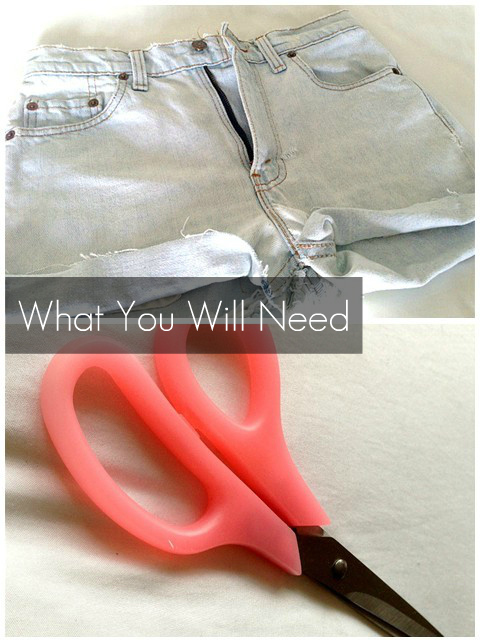 It is definitely unlike any denim DIY I have ever seen before. Thanks for sharing!